Looking for a whole lotta love to cuddle up with this Holiday season? Meet Gizmo & Ziggy. 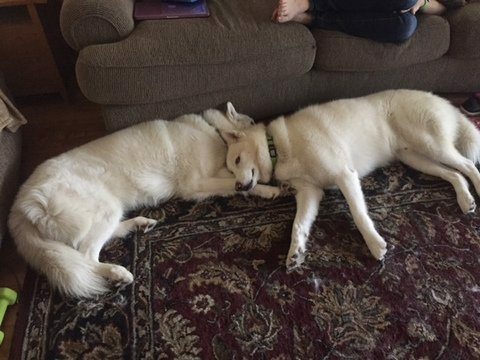 These two beautiful Siberian Husky boys have grown up with each other and are the best of friends. They were surrendered to the shelter when their owner could no longer care for them. 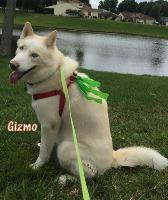 Here is some info on them from their wonderful foster mom: Gizmo is 5 year old love bug who loves to cuddle, likes car rides and walks very well on a leash. 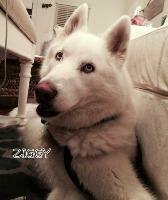 Ziggy is a 7 year old goof ball who loves to wrestle and play. He also loves running along a bike or skate board, walks well on a leash and loves car rides. Both are housebroken and about 65 lbs. They have been neutered, microchipped and are up to date on all their vaccines. They will be at Pet Supermarket Ponte Vedra this Saturday and Sunday from 10am-4pm. Come meet them! Call Lynn Scheirer, Husky Coordinator for SAFE, 904-424-4804 for more information or visit the S.A.F.E. website: http://www.safe-pet-rescue-fl.com.